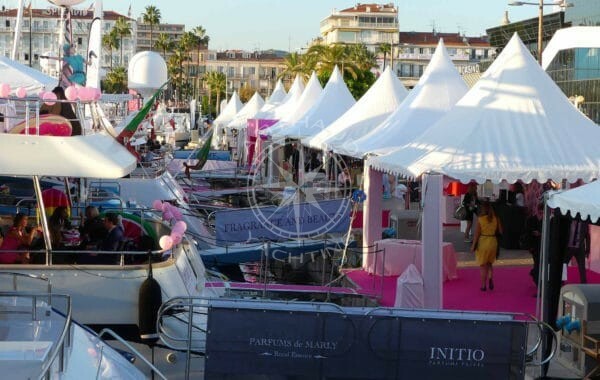 Celebrate your birthday aboard a yacht on the French Riviera. 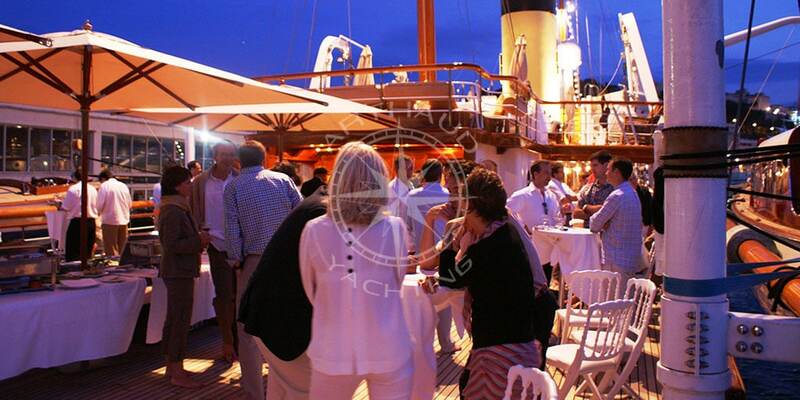 You want to organize an unforgettable and original birthday on a yacht? For yourself or to surprise someone close to you? 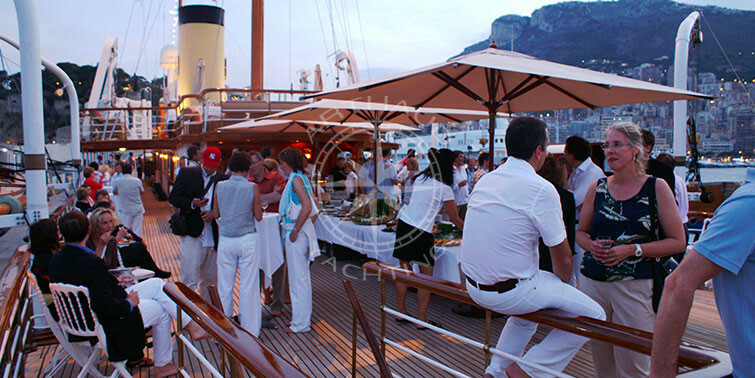 A yacht is the inventive venue place you need. Plan a party that will be in full swing off the coast, in the beautiful Mediterranean with an exceptional view surrounded by the people you love. Far from being an unreachable experience, this evening could very well be yours. 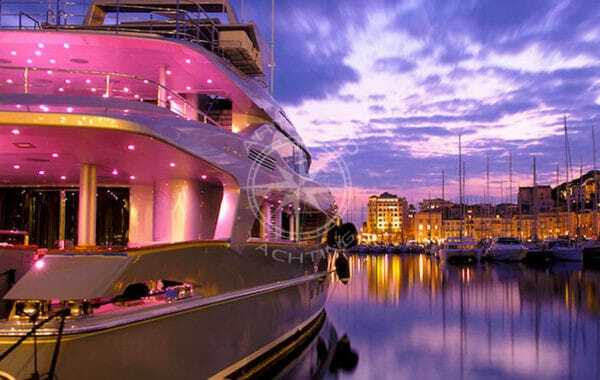 Your celebration will be even more magical and unique than what you imagined by organizing it aboard a yacht charter for your birthday. A birthday is the perfect occasion to treat yourself or someone close and offer an unforgettable moment with friends or family. 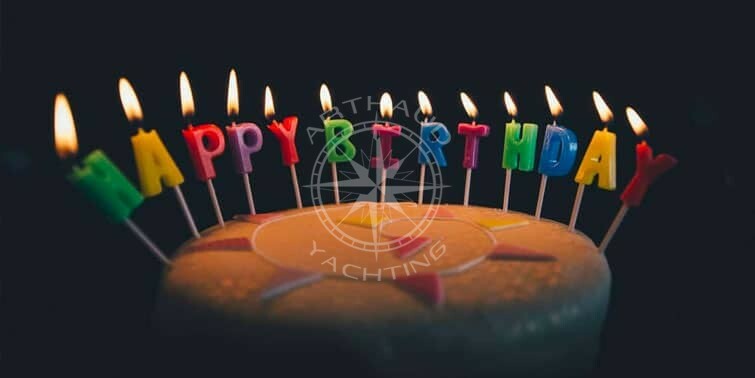 Renting a yacht for your birthday celebration is organizing a prestigious event that will stand out from any other event, an experience which allows you to avoid deja-vu. 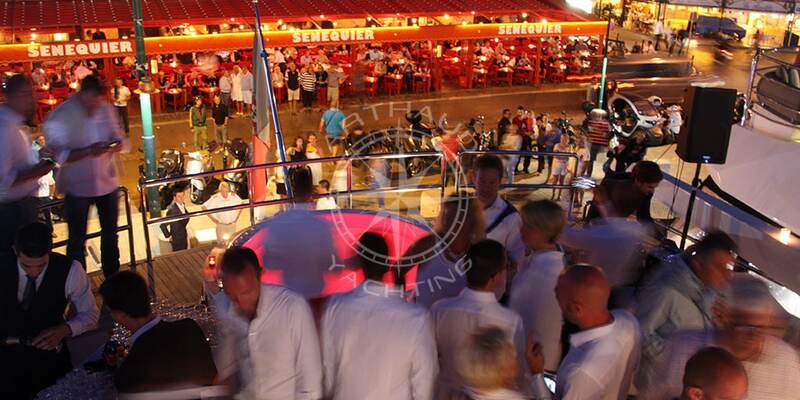 Your birthday yacht charter will offer you an out of the ordinary setting for an evening unlike any other. 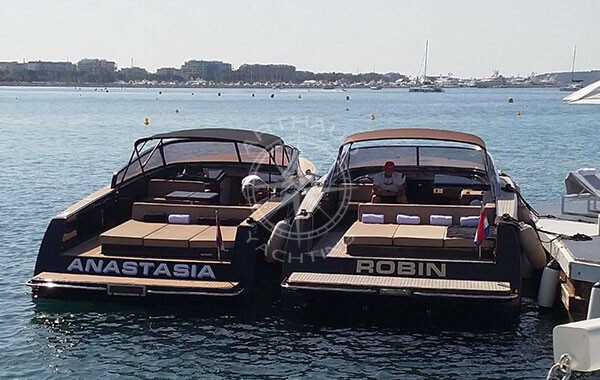 Enjoy a refined and luxurious location to share an unforgettable moment with your family in the beautiful Mediterranean waters or berthed at quay in one of the many ports of the French Riviera. An event which will remain engraved in the memory of your guests and even more in yours! 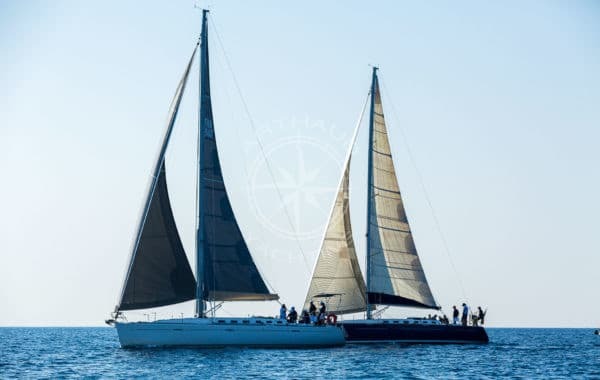 To welcome your guests whether at quayside or at sea, a yacht charter is the ideal open air venue, to host your family and friends under the Mediterranean sun. Celebrate your birthday in a relaxed atmosphere, and become a year older with a sense of freedom, an exceptional experience which combines refinement and luxury. Your guests will enjoy the evening on-board your very own tailored yacht, a setting in which they will not tire of taking in the magnificent view. 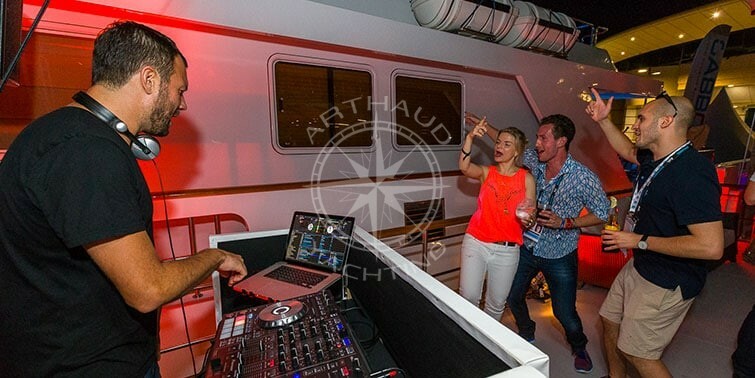 Sit aboard your private yacht charter for a celebratory drink and dance along to the music you will have chosen. A stunning backdrop for photos, breathtaking decorations, on-board catering and beverages as per your request, a sober or electric atmosphere. All these choices will be yours so that your birthday is all that you imagined. 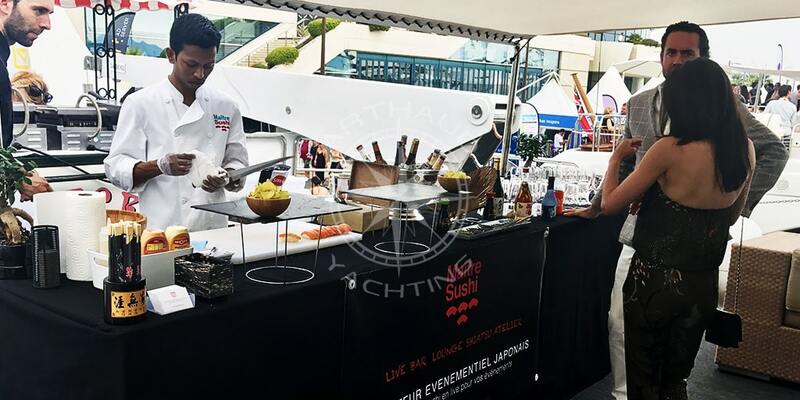 Your guests all dressed up for the occasion, festivities and plenty of gifts, this is the kind of experience that awaits you for a beautiful birthday celebration aboard your yacht charter in Cannes. Throughout your stay on-board, our team together with your private professional crew is at your service to deliver a smooth and stress-free experience which is sure to match your expectations. Atypical and unique, it will perhaps be be the most unforgettable birthday of your entire life ! 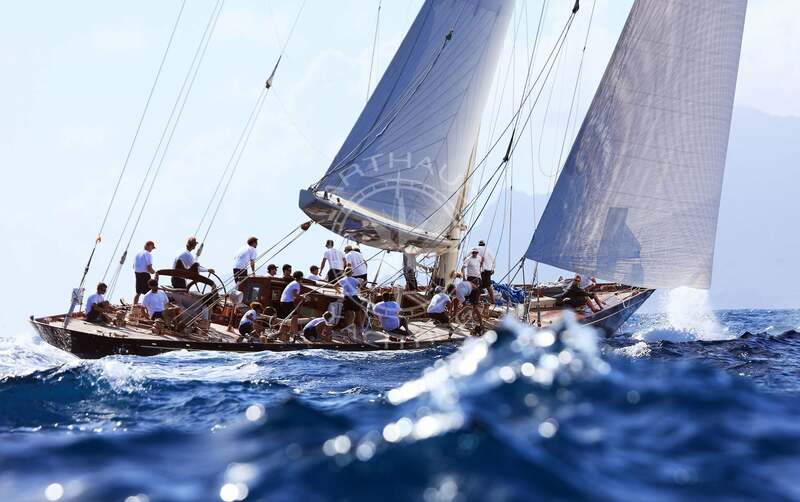 In fact, chances are after celebrating once with Arthaud Yachting, you will want to celebrate each occasion in the same manner! Good news though, the possibilities are endless and birthdays although annual are never the same! You will have a wide range of options to make your birthday that much more special and impressive each year! Stand out and host your birthday party or a friend’s birthday on-board a yacht and mark the date with an original idea in a stunning setting. In addition to the out of the ordinary setting, everything else will need to be original. Let your imagination run wild and transform your wildest dreams into reality. The decoration, the catering, the setting, all the parameters of your event even to the smallest of details will be realized based on your needs and wants. 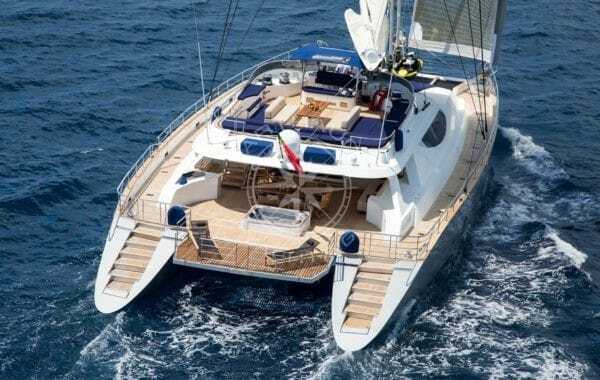 For an afternoon with friends, to swim, relax or take advantage of the on-board nautical activities. Or for an evening or a short break, the duration of your birthday celebration and the program can be adapted and tailored to your needs, the possibilities are endless! You will be able to try out the seabob that can be handled in and out of the water for a unique experience and laughs at the end. You can fish or ride a towed buoy. 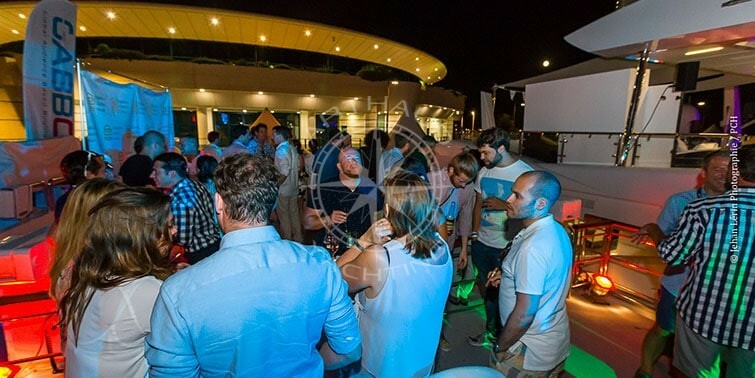 If you are more “idleness”, the deck of the yacht will delight you and offer you hours of absolute relaxation surrounded by your family and friends for a birthday under the Mediterranean sun. One year more? A wedding anniversary? All birthdays must be celebrated as they should! 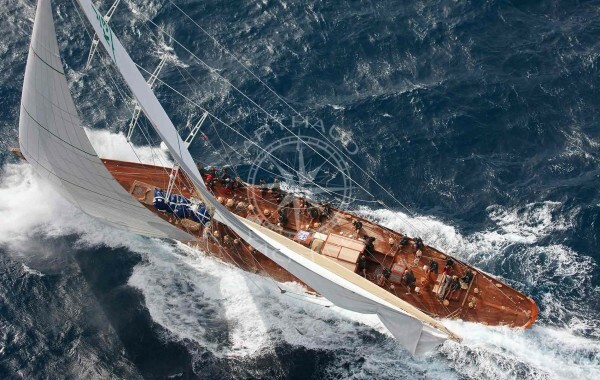 Living aboard a yacht will undoubtedly be the guarantee of a successful event. In small or bigger group, your birthday will take place in an idyllic setting. We all want our birthdays to be perfect, unique and above all successful. 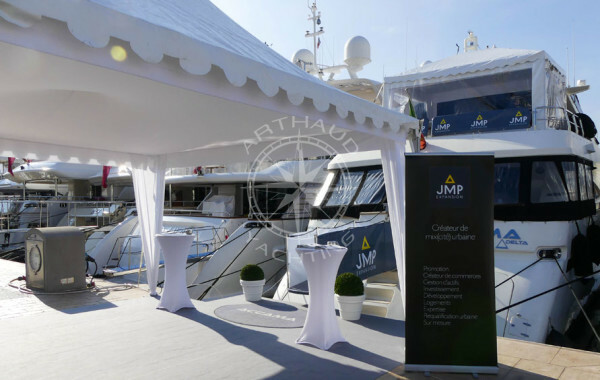 To appeal to Arthaud Yachting it is the certainty that all these factors are together for a stay out of common and perfectly personalized. You are unique and your expectations too, we will offer you this. 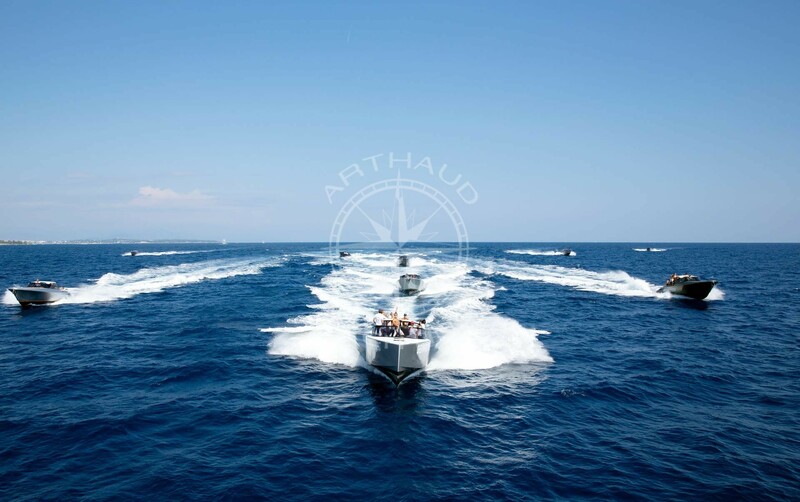 At Arthaud Yachting, our years of experience and our loyal customers have led us to address all requests. Whatever the birthday style you want to organize, we will make you live it and come it alive in accordance with what you imagine and the idea that you have of your evening. Our experienced team will assist you in organizing your event by offering all the solutions to your expectations. 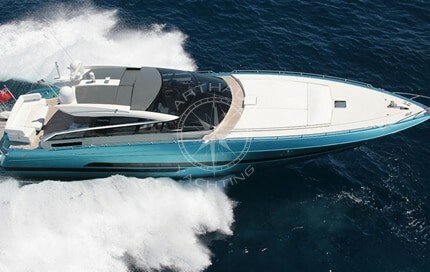 For a short or long stay, we will guarantee you the success of your birthday aboard one of our yacht charters. 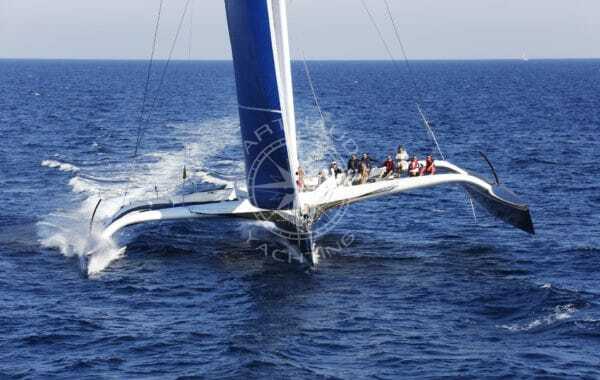 Yacht charter for your birthday, we will offer a wide range of high standard of services to delight your guests and that day is forever engraved. Faithful to our values, we will offer you our expertise in the best tradition of the reputation that characterizes us: availability, reactivity, support, rigor and of course sympathy. 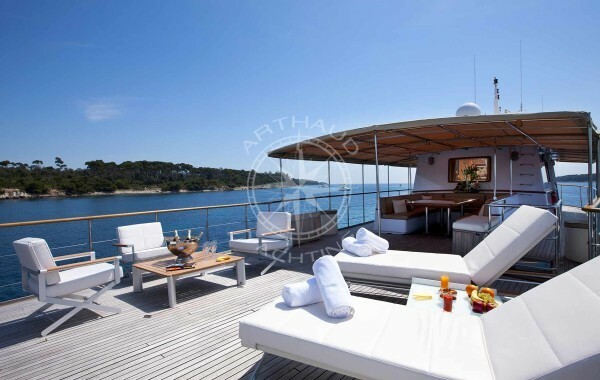 At Arthaud Yachting we offer you the ultimate yacht charter on the French Riviera. We will be able to offer different solutions depending on the number of guests expected for this event. Do you want to celebrate your birthday or surprise a close relation? Do you want to remember it for a long time and keep incredible memories? Do not hesitate to entrust us with your project! Your partner for a birthday pary on a yacht.